Her accuracy when appraising a property and attention to detail when marketing ensures excellent results. 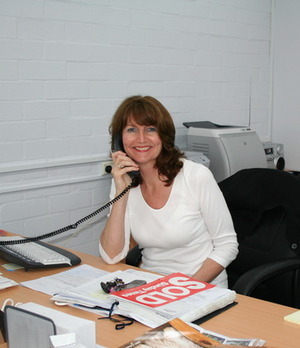 Margaret's enthusiastic yet sensitive approach makes the sale process stress free and enjoyable. Living locally, Margaret knows the area inside and out. Her market knowledge is second to none and is an invaluable asset to her clients. She belives strongly that both sellers and buyers should receive her undivided attention. As a result, she enjoys consistent repeat business and referrals. Her honesty and commited approach combined with her vast experience and local area knowledge make Margaret the perfect solution to your real estate needs. Gorgeous 4 bedroom 2 bathroom home with plenty of parking double remote controlled garage and double parking at the front, easy care gardens. 2 STOREY 4X2 IN CRESTWOOD ESTATE! This super big home boasts grand double door entry, large master bedroom with his and hers walk in robes, ensuite with bath and shower. Perfect starter for 1st homebuyers or for downsizing without compromise. 2 bedroom 1 bathroom with lounge/kitchen and dining. DREAM HOME FOR THE ENTERTAINER !! Gorgeous 3x3 Home Across From Parkland!